For almost 40 years, BQ Design has manufactured quality soft furnishings for interior specialists. Interior Illusions is situated in Melbourne’s South Eastern suburb of Braeside. Since our establishment in 2004 Interior Illusions has earned itself an enviable reputation for providing the highest quality window blinds for residential and commercial office sector including corporate, private and government projects In 2011 we moved out of Ripponlea Showroom and moved to our new factory Showroom in Braeside. Our newly established showroom displays a sample of our quality blind product ranges, with an endless array of blinds, drapes and curtain fabrics. Our showroom design reflects our boutique style and compliments our professional and personalised customer service. All our expert consultants are available at a time that suits you to assist with colour choices and fabric designs to suit your decor. We offer an obligation free consultation, bringing with us the vast range of products, colours and fabrics types to choose from. 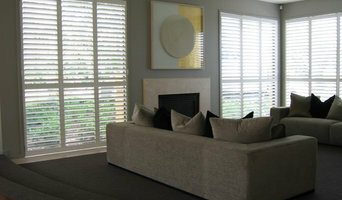 The majority of our blinds and drapery products are manufactured by highly regarded Australian manufactures. We pride ourselves with providing the highest product quality without compromising our competitiveness and we foresee our continual customer satisfaction as paramount for our future growth. For attention to detail, quality service and advice. For quality tailor made curtains and blinds, sound advice and competitive prices. 25 yrs experience. Large range of blockout and e screen blind samples. Extensive range of fabrics for curtains and upholstery to suit your decor and budget. If you have seen something you like and I don't have it, I can source it for you from leading fabric houses. Tracks are available as either decorator or timber poles, slimline, heavy duty commercial and motorised. Curtains/drapes/sheers are hand cut, custom made to any style and heading. Shutters are available in flat or aerofoil blades and can be adapted to suit wet areas of your home. Venetians come in timber or aluminium in a variety of colours, styles and sizes. Romans come with heavy duty head boards, steel batons, 4 pass blockout lining and can be chain driven, cord pull or motorised applications. Roller blinds consist of a heavy duty key way roller tube, either chain driven, spring assist or motorised. Upholstery of existing pieces including antique. Awnings come with a heavy duty powder coated headbox. Re cloth service is also available using your existing componentry in many cases. Service of existing products and repairs in your home. Please don't hesitate to call as I am here to help you. We'll help you finish your home. ATM Decorators supplies quality custom made Blinds and Curtains at competitive prices. We provide all type of internal blinds, curtains and out door blinds. 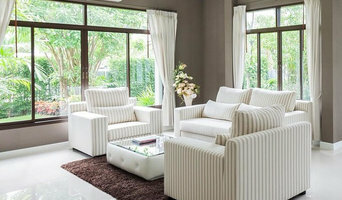 One of the most significant ways to maximise the appeal of your home interior is the addition of quality custom- made designer blinds, curtains or shutters. 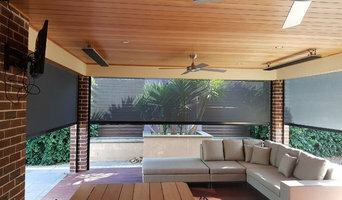 At DIY Online Blinds, we offer the best value Australian- made custom blinds online. Whether you’re renovating, redecorating or building a new home, we have blinds to suit every window and every budget. We make it easy to choose from our extensive range of sample fabrics, sent to you FREE via express post. Within 24 hours you’ll be able to hold the fabrics and decide the perfect match for your home.We strive to keep our blinds at affordable prices. This doesn’t make them “cheap” – they are made from some of the highest quality fabrics available on the market. It’s just that at DIY Online Blinds we don’t believe in charging you the cost of a mortgage for a quality product! Through years of industry experience, we’ve created straight forward step-by-step instructions that easily guide you through all you need to know to measure and install your blinds like a professional. If you run into any trouble, our design team are only a short phone call away. Blinds are manufactured within 10 working days and shipped to Sydney, Melbourne, Brisbane, Perth, Adelaide, Hobart, Canberra and all regional addresses. We deliver Australia-wide for a flat fee of $30. No need to wait for tradies to book a time to quote and install! You get to shop in the comfort of your own home, in your own time without any high-pressure sales. For absolute peace of mind, a five-year warranty covers all our products ordered online. Buying direct from Australia’s largest manufacturer means that you save! Custom-made blinds online make it affordable to furnish your home with high-quality products that fit your windows perfectly. You’ll be impressed by the quality of our products compared to what’s sold by major hardware chains across the country. We sell Rollers, Double rollers, Romans, Vertical, Venetians, Honeycomb blinds, Panel glide blinds, Curtains and Plantation Shutters. It’s easy to buy blinds online and save time and money! Innovative Curtains and Blinds. 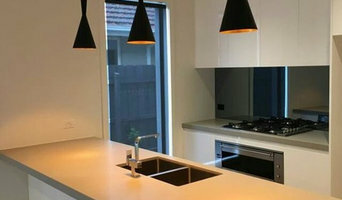 Is an established and reputable family operated business in Melbourne. That specialise in custom made window coverings. Offering a wide range of products and able to cater to any style and budget. Always assuring the highest quality, care and attention to detail & exceptional un compromised customer service and installation. Our in house quality control officer overseeing the entire process from the date of contact right through to the date of the installation & our great after sale service. We have an extensive range of fabrics from multiple fabric houses. Energy efficient, flame retardant, sound absorbing & environmentally friendly. Our interactive product displays showcase our wide range of products in manual or motorised options and possible design options for creating cohesive spaces with the addition of soft furnishings and upholstered furniture. Innovative meets and exceeds all industry standards. This expertise provides peace of mind and reassurance that all our work meets the required standards. Innovative uses quality materials, trimmings and accessories to create our window treatments using only the highly experienced machinists and craftspeople. We pride ourselves in supplying you with a high quality product with detailed finishes. All our work is covered by a guarantee on materials and workmanship.